Back by popular demand!!!! Please come to an informal round table discussion on marketing to get listings! Listing are very low in certain areas. Listings generate buyer leads. Listings are like “Money in the Bank”!. Everyone should be focusing their efforts on obtaining listings! Come share ideas and get motivated to market full force! Class is limited to 15 agents so please RSVP! Please take note that is will be at my Hayden office! What are the niche markets out there? What are the materials available to you? How should you make prospective clients take interest inyou as an agent? Develop a detailed plan schedule and budget. 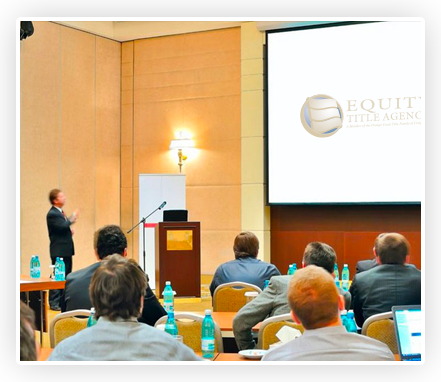 What does Equity Title Agency have for you? Let’s get revved up and get some listings!!! When: Wednesday, July 11th 2:00 PM to 4:00! Where: Equity Title Scottsdale McCormick Ranch Branch, 7975 N. Hayden Rd. #C280.